Lessons are based on communication and pratice and you can ask me anything you want about culture and language. Learn authentic language from Day 1 and keep on improving to reach your goal, become fluent, bilingual or to specialize in one specific field. Check the information about my courses. Practice French or Spanish. We’ll have an informal conversation and I’ll share with you interesting facts about costumes, news, cultural references, society, etc. We’ll focus on everyday life, we’ll talk about you and about interesting topics about culture. The lessons will be led by me. These lessons are ideal if you need some help to know how and what you can learn. I’m always open to your suggestions of course. The main goal is to help you communicate: I’ll help you speak clearly enough to be understood and to understand a normal conversation. You’ll only learn elements that are relevant and useful for you in everyday life and according to your goal (like travelling, living in the country, looking for a job, etc.). I’ll pay attention to pronunciation and everyday French in particular, as it is spoken by natives. We’ll work on topics related to language, culture, news. With these lessons I’ll guide you to reach fluency and to always keep on learning and improving. We’ll practice thanks to different types of authentic documents according to your goal such as articles, movies, adds, etc. TOPICS: I usuallly work on a great variety of topics during the course, but we can also focus on specific subjects and specialize in language and culture related to one area if you prefer. SKILLS: these lessons are based on communication but we can work more precisely on verbal ability, writing, listening or reading comprehension. 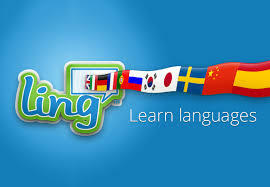 LANGUAGE: we can work on formal language or on everyday informal language and slang. PRONUNCIATION: I’ll help you improve your pronunciation and if you’d like to reach a native like accent I’ll pay attention to the small details that make the difference. When acquiring a language, it’s important to remember that learning Grammar and Vocabulary is a tool and not a goal. The goal is communication, understanding, interaction. You’ll acquire grammar and vocabulary in context, thanks to the material and documents we’ll use and the activities we’ll make. You’ll assimilate new elements in a practical way, using them and I’ll help you develop your grammatical intuition in the new language. I can answer all your questions about Grammar if you have them and we can talk about Grammar if you enjoy it, but it’s important for you to know you don’t have to study Grammar in a formal way to learn a new language. You can develop you grammatical intuition without explicitly refering to Grammar. We can use Grammatical terms if they sound familiar to you, but if they don’t it’s ok, there are many ways of understanding Grammar without studying it like we usually do. I can give you exercises to make outside the lessons but it’s an option and we won’t make grammatical exercices during our lessons. I can adapt myself to your needs. Let’s define together your goals and the skills you want to develop in priority.